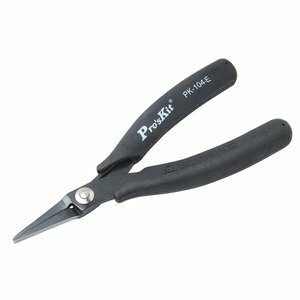 Flat-nose pliers have tapered jaws that are serrated on the flat inner surfaces. 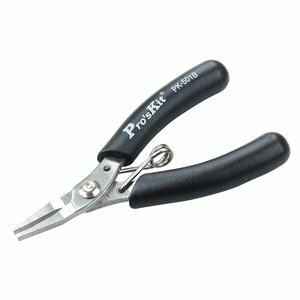 They are designed for bending, grasping, and twisting small pieces of metal or wire. Made of high carbon steel. Conductive ESD safe handle. OAL: 145 mm. Precision flat nose pliers made of high quality stainless steel. OAL: 100 mm.